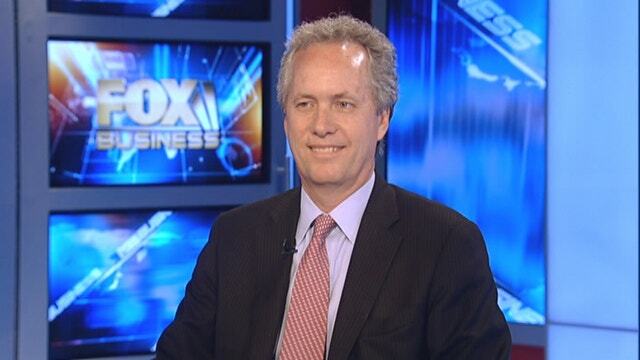 FOXBusiness.com’s Kate Rogers sits down with Louisville, KY Mayor Greg Fischer to talk about how the city has bounced back post-recession and become a manufacturing boomtown. After losing nearly 40,000 jobs during the 2008 financial crisis, Louisville, K.Y’s economy was left bruised and reeling. But thanks to a booming manufacturing sector, the city is coming back in a major way. In fact, Louisville is one of the nation’s five fastest cities in recovery, according to Brookings, and recently moved to No. 2 on from No. 45 on a New Geography’s list of American Boomtowns. Nearly 80% of the jobs lost in the city during the recession have been restored, and manufacturing employment has increased by more than 9% in the past year. Louisville Mayor Greg Fischer cites the city’s innovation and major corporate investments as reason for the quick turnaround and labor market recovery. Ford (NYSE:F) invested $1 billion in its two plants located within the city’s borders that create the Escape, and General Electric (NYSE:GE) recently re-shored its appliance manufacturing from China into Louisville’s GE Appliance Park. “We have had a couple of big companies that have had a major comeback and investment in the community, and a bunch of small and medium-sized manufacturing companies [invest] as well. We have seen a lot of investment and focus on local innovation,” Fischer says. The mayor is also pushing increasing the city’s exports as a way to expand growth even more. In fact, he says it’s essential to Louisville’s success. Having run SerVend, an international beverage dispenser in the 1980s and cofounding private investment firm Iceberg Ventures, Fischer draws on his business experiences to lead the city to recovery. “I am a business guy and entrepreneur that just happens to be mayor. I say to be mayor, you have to have the head of a chief executive and heart of a social worker. You can run a city business, but you can’t run it entirely like a business because there are social service decisions that are extremely important." Fischer’s business mind is always looking to get residents a return on their investment, and he recently teamed up with Lexington Mayor Jim Gray to create the Bluegrass Economic Advancement Movement (BEAM) initiative to grow the region’s economy. Despite the long-held basketball rivalry between their two universities, the joint business plan strives to encourage local manufacturing in the two cities to increase export capacity and create jobs along the way.